The only traditional two-piece system that gives you the moldable advantage. 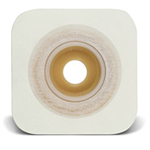 The SUR-FIT Natura® ostomy system is a comprehensive product line with the latest skin barrier technologies. The plastic coupling ring allows the pouch and skin barrier to snap together for audible security. Only the SUR-FIT Natura® ostomy system is available with ConvaTec Moldable Technology™ skin barriers. These barriers hug the individual contours of your stoma to allow for a secure, personalized fit without the need for scissors. Durahesive barriers are designed for people whose stoma output is mostly liquid. 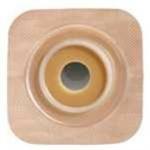 These barriers swell up to protect the stoma, while providing a more secure seal without harming the skin. Stomahesive barriers are designed for people whose stoma output is semi-formed to formed stool. The special formula enables the barrier to adhere to both dry and moist skin. A protective outer coating helps keep it in place and provides added security. SUR-FIT Natura barriers are compatible with SUR-FIT Natura pouches.